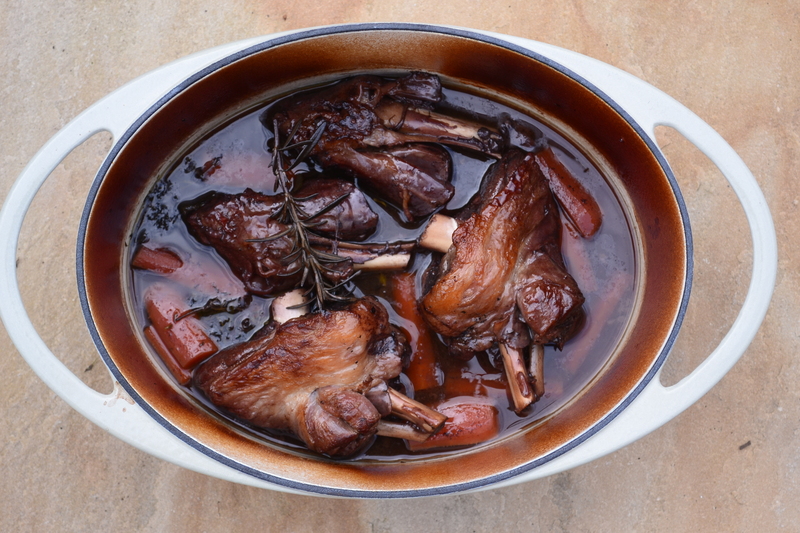 I’ll start this with a little warning…well more of advice..mutton is gamey, very gamey so if you enjoy these types of robust ‘field’ flavours then try these instead of the usual lamb shanks. In all honesty there is nothing to these – you just need time. Kick things off by removing any access fat from the shanks, season well and brown all over in a frying pan. Add the shanks to a deep casserole dish, add the wine, the stock herbs and garlic. Make sure your casserole has a tight-fitting lid to keep all the moisture inside. So here’s the skinny – you can serve these straight outta the oven onto buttered mash or you can leave them to cool completely to have 2 or 3 days later if you wish – simply bring them up to temperature slowly in teh oven. Excellent looking shanks Rory. Lovely stuff indeed. A great deal of thanks to my Brother in Law who is a Sheep farmer – handy! Why on earth would you go for a skinny version of anything? Could not agree more Tim – eat like a horse, train like a bull! Next Post Raw is the new….cooked ! ?